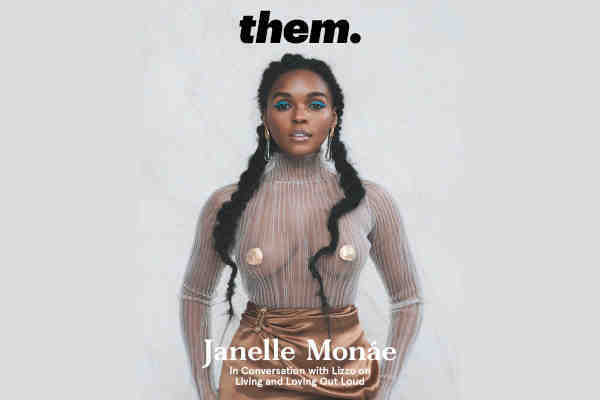 In a THEM cover story, singer-songwriter-actress Janelle Monáe talked with Lizzo. The 33-year-old Monáe came out as queer last year in a Rolling Stone cover story. “A big thing for me is just being patient with myself, and not allowing myself to make decisions based in fear, or a fear of people not understanding me. And it's hard. You go through experiences where you feel fearful, and you end up being depressed, or having anxiety, and not taking care of you. But that fear should not get in the way of how you love or who you love,” she continued. Monáe also expressed support for transgender women, including Laverne Cox and Janet Mock.